The paralegal occupation in the state of New Mexico is not nearly as large as in more urbanized states, but it is growing as the state’s population and urban areas expand. According to the Bureau of Labor Statistics, New Mexico is home to about 1,730 working paralegals, the majority of whom are located in Santa Fe and the Albuquerque metro area. On a national scale, paralegal jobs are expected to increase by about 28% in the next 6 years as law firms continue to save money by hiring legal assistants to perform duties traditionally performed by lawyers. The average salary for a paralegal in New Mexico is modest at about $42,060, with an average hourly wage of $20.22. Private law firms are the largest employers of paralegals in New Mexico, although the state’s national laboratories and other government entities, as well as some large corporations, hire legal assistants as well. The state of New Mexico defines a paralegal as someone who performs legal work while employed or contracting under a lawyer. In addition, licensed attorneys in New Mexico must supervise any paralegal working under them and are legally responsible for all legal assistant conduct. 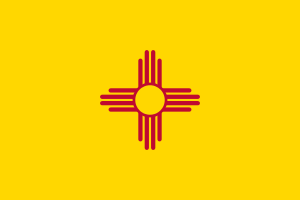 Like all US states, New Mexico prohibits paralegals and all non-licensed lawyers from practicing law, and will prosecute those who ignore this rule. Aspiring legal assistants in New Mexico have a few options to start their career. They can earn a certificate or degree at a school, or become a paralegal informally via on-the-job training. However, paralegals who have earned a certificate from an accredited and endorsed program are usually given preference when applying for jobs. If a working paralegal is looking to pursue an official certificate or degree, then it may be worthwhile to ask for support from their employer. Paralegals in New Mexico receive their certificate or degree when they pass an approved certification exam. Even paralegals who have received a certificate from their school are not “certified paralegals” until they pass one of these exams. These exams are provided by a few different organizations including the National Association of Paralegals (NALA), the National Federation of Paralegal Associations (NFPA), or the National Association for Legal Professionals (NALS). The American Bar Association (ABA) is an influential organization that not only provides oversight of practicing attorneys, but also endorses law programs and colleges, including paralegal programs. An approval from the ABA proves a program’s credibility and high academic standard, and many employers require applicants to carry a certificate or degree from an ABA-endorsed program. A school’s accreditation status – which is independent of a program’s endorsement – is provided by the US Department of Education. Accredited institutions have been proven to be legitimate and ethical and are a good bet when considering education options, as they will boost a starting paralegal’s credibility. Many employers require a certificate or degree from an accredited school, in addition to an ABA-endorsed school. Other employers may require one or the other, or may even have no requirements at all. For the most employment opportunities, it’s ideal to attend a school that is both accredited by the Department of Education and endorsed by the ABA, if possible. Central New Mexico Community College is a public 2-year college located in Albuquerque, NM. This school offers an Associate of Applied Science degree and a post-baccalaureate certificate in its Paralegal Studies program. Internships are mandatory. Sperm Donors? Before [You Fire], Read Legal Issues!